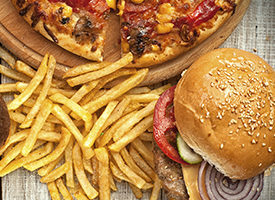 After gallbladder surgery, digesting fatty foods can be difficult. To avoid gastrointestinal discomfort, limit high-fat, gas-producing foods initially. If you have your gall bladder removed, watch your diet carefully afterward. It can help you adjust gradually to changes in your digestion with little discomfort. Gall bladder surgery solves the problem of gallstones, hard deposits of digestive fluid in the gallbladder. As people age, they become more common. In fact, surgeons remove more than 600,000 gallbladders each year to eliminate the pain associated with this condition. The gallbladder – a pear-shaped organ on your right side beneath your liver – isn’t vital. However, it does help you digest fatty foods. It stores, concentrates and secretes the bile your liver makes. After surgery, your liver still makes enough bile. But you might have difficulty processing fatty foods – at least for a while. More than half of patients who have their gallbladder removed have trouble digesting fat. For the first few days after surgery, stick with clear liquids, broths and gelatin. After that, gradually add more solid foods back into your diet. 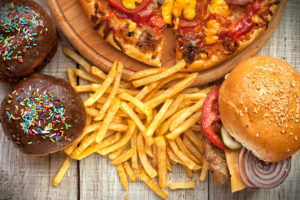 I advise my patients to avoid fried foods, high-fat foods, foods with strong odors and gas-causing foods. You should also stick to small, frequent meals. Overall, I tell patients who have gallbladder removal surgery to stick to a low-fat diet. Typically, fat calories should total no more than 30 percent of your daily intake. That means if you eat about 1,800 calories each day, you should consume no more than 60 grams of fat. Read food labels carefully. Look for foods that offer no more than 3 grams of fat per serving. Slowly add small amounts of foods back into your diet. Re-introducing things too quickly can lead to diarrhea, cramping and bloating. It’s a good idea to keep a food journal after surgery. You can keep track of when you begin eating a food again and what the impact is. Doing so will help you know what you can and cannot eat comfortably. After surgery, doing these things should help you feel more comfortable. As time goes on, take note of your tolerance for higher fiber foods and fats, especially healthy fats.